United Methodists seek to improve the quality of life and opportunities for all God’s people. Asbury supports this effort through active participation in a number of humanitarian works within our community and around the world. This ministry grew out of Asbury’s long term commitment to be there for other people in times of disaster. Since our first “Mission to Mississippi” in 2006 to rebuild homes, lives and faith following Hurricane Katrina, Asbury has maintained a Disaster Response Team. 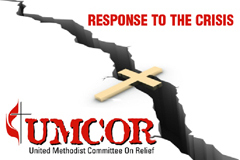 It was solidified when Asbury served as the UMCOR (United Methodist Committee on Relief) Disaster Response Headquarters during the Columbus, Indiana flood of 2008. Crews from this ministry have been deployed following the Tuscaloosa, Alabama tornadoes of 2011, and the Henryville/Holton, Indiana tornadoes of 2012. To provide a caring Christian presence in the aftermath of a disaster. Looking for information about our MobilePack this year? Head to our event page at fmsc.asburycolumbus.org. Feed My Starving Children (FMSC) is a non-profit Christian organization committed to feeding God’s children hungry in body and spirit. The approach is simple: volunteers hand-pack meals specifically formulated for malnourished children, and the meals are shipped to food distribution partners in nearly 50 countries around the world. How does a MobilePack work? FMSC brings raw ingredients, equipment, and trained staff. The funds and “people power” to produce meals come from volunteers within and around Columbus. Food-packing takes place in two-hour shifts, with adults and children (Ages 5 and up) filling and sealing bags at work stations. Volunteers can sign up as individuals or register with families, friends, coworkers, athletic teams, etc. As a MobilePack host, Asbury UMC has committed to cover the costs of meals, but we cannot do it alone. We encourage area churches, businesses, schools, organizations and individuals to help us make this dream come true with prayer, monetary donations and physical support. Find out more about this ministry at Feed My Starving Children. Asbury United Methodist Church has completed 7 MobilePack Events. We could not have accomplished our goals without the work and support of the many people, churches, and organizations in the Columbus and the surrounding community. Thank you! Throughout these events, 1,216,944 meals have been packed. This represents enough meals to feed 3,334 children for an entire year. March Begin detailed planning for the 2018 MobilePack. Mid June First invoice of 1/3 of total meal cost due to FMSC organization. Early August Second invoice of 1/3 of total meal cost due to FMSC organization. Final meal goal is set. September FMSC MobilePack event at Asbury UMC. Late October Final payment to FMSC is due. Participating as part of a team is a lot of fun. We encourage you to get your teams organized early so that when registration opens you can get everyone registered for the shift of your choosing. Team fund raising events are encouraged, too. It is estimated that each person packs one box. The cost of one box of meals is $50.00. Registration is open for the 2018 MobilePack. You can register to pack here. You can make a donation to Feed My Starving Children in honor of your parents, children, grandchildren, friend, neighbor, co-worker or anyone else you want to bless. 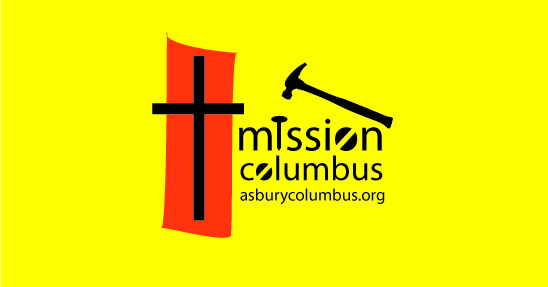 Mission Columbus is an on-going local ministry of Asbury United Methodist Church. We provide case work and home construction in the Columbus area. The repairs are completed by mixed ages of volunteers from Asbury and the community. Be living witnesses of God’s Love, Christ’s redemption and the Kingdom of Heaven through service and ministry associated with repair and construction of homes in Columbus, IN. Operational planning and strategic growth will be led by prayer and guidance from the Holy Spirit. Asbury will assemble volunteer teams to provide home repair and construction assistance to homeowners living in the greater Columbus community, who due to their life situations cannot perform or afford to complete this work on their own. Embedded with the construction work will be spiritual care for the residents, their neighbors and the volunteer workers themselves. Eligible projects for this ministry will be home repair with the objective to repair and restore a client’s dwelling to warm, dry and functional condition, or construction necessary to provide the resident with basic dignified housing. This ministry is not intended to be a provider of home improvement or remodeling to increase property value beyond its original “repaired” condition. Typical work performed will include, but not necessarily limited to painting, siding installation, roofing, deck and ramp construction, winterization, dry wall repair, handicap accessible modifications, fencing, landscaping & draining management, window & door replacement, restoration framing, etc. Light – Simple, quick turn home repair … changing light bulbs, replacing toilets, caulking windows, painting a door, etc. Light Projects will be on an as needed, as available basis. Goal is to develop a couple standing “SWAT” teams to respond to these needs. Medium Projects will be pursued at a work load of 2-3 per year, targeting one work day per month and a couple of 2-3 day “blitz” events per year. Whole House Building Blitz…will not be pursued at this time. Case workers will appraise projects prior to starting work, assessing spiritual care, home repair & financial assistance needs of residents. 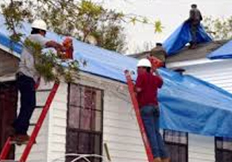 Liability Waivers: No project shall start until the homeowner has signed a liability and workmanship guarantee waiver. Case workers, prior to starting work on any project, will determine the home owner’s ability to pay for their part of the project. Funding: The presumptive funding model for every project is that Homeowner will be responsible for cost of building materials, consumables, necessary permits, surveys and inspections. Asbury will provide skilled volunteer labor, donated tools, food for work teams, spiritual resources & materials, communication and publicity.When homeowners cannot cover all material costs, Asbury may assist with securing external funding from applicable community social services. Once available social service funding has been exhausted, Asbury DiRT funds may be available to make up difference in material costs. Case worker and construction manager will determine the amount of Asbury DiRT funding to be budgeted to each project. Based on identified funding through to the end of 2016, this ministry can sustain a cash flow rate of roughly $5000 / a 6 month period. All volunteers from age 14 to adult are welcomed. All volunteers must sign a liability waiver before working on any job site and have proof of health & accident insurance. The liability waiver for a minor must be signed by a parent or guardian and notarized. A Minor Consent to Treat Form must also be completed by a parent or guardian for all minors. All volunteers are required to read and sign the Code of Conduct form. Work teams will be made up of adult and youth (14 yrs / entering 9th grade) volunteers. The youth to adult ratio shall be no greater than 4:1. Adult volunteers must follow Asbury’s Child and Youth Protection Policy while working with volunteers under the age of 18. Trained members of the Disaster Response Team (known as “Red Shirts”) will be the construction managers. Red Shirts will provide skills training, work planning, prayers, tools, material logistics, and prayers. Click here for more information about Mission Columbus projects. Pit Stop started in 2007 serving lunch to the high school students in grades 10, 11, and 12 during their lunch break every Thursday from 11:00-12:30. For only $4, students may have up to 4 Soft Tacos with beef or chicken, grated cheese, lettuce, taco sauce, sour cream, Spicy Ranch dressing, Nacho cheese and chips, cookies, and drink. This opportunity to invite youth to Asbury’s lower level youth area for lunch and Christian fellowship is possible because of the local high schools’ open campus lunch policy and our proximity to North High School. Where did the name “Pit Stop” come from? The students lovingly call Pit Stop “TACO CHURCH”. In 2007, we started with 24 students and 3 cooks. Now we have 300 students and at least 13 cooks. The servers have devotion and pray before serving meals each Thursday. The home baked cookies are a huge hit with the students and have become our signature feature. Now we have over 40 cookie bakers scheduled throughout the school year baking 48 dozen cookies a week. Over 30 people have sponsored students who can’t pay for their lunch or have made a donation. If you would like to provide cookies or are available to help serve the food, please contact the church office at 812-372-4555. Red Bird Mission has been providing ministries in the Appalachian Mountains since 1921. Today the need remains critical in this isolated, rural distressed area. Chronic poverty, lack of jobs, poor housing, and rugged mountainous terrain provide obstacles to a fuller life for the residents of this area. Red Bird Mission strives to meet these needs through ministry in five areas: Education, Health and Wellness, Community Outreach, Economic Opportunity, and Community Housing Improvement. Asbury supports this mission by annually sending a group volunteers in mission. This work camp strives to provide home repair for low-income community residents and maintenance for Mission buildings and grounds. Some examples of work projects are roof replacement, small room additions, painting, building porches or ramps, and grounds keeping. More information may be found at the Red Bird Mission website. 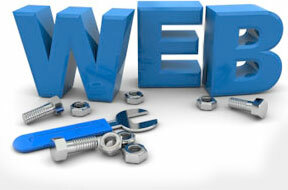 The Asbury Web Team creates and maintains the Asbury UMC Web Site. Day-to-day updates to existing pages. Alignment with overall church objectives. Overall site design and development. Interested in helping out? Join our team! We can use writers, editors, photographers, Web developers and graphic artists. Experience is helpful but not necessary; we can teach you everything you need to know. Drop us a line if you would like to learn more. For more information about upcoming Youth Mission Trips, head to the Youth Connection Page.